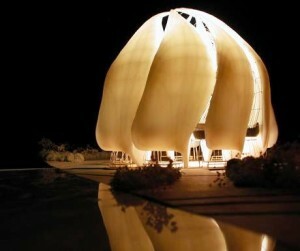 Have you ever wished you could design a Baha’i Temple in 3D with others so that all could see and enjoy it? 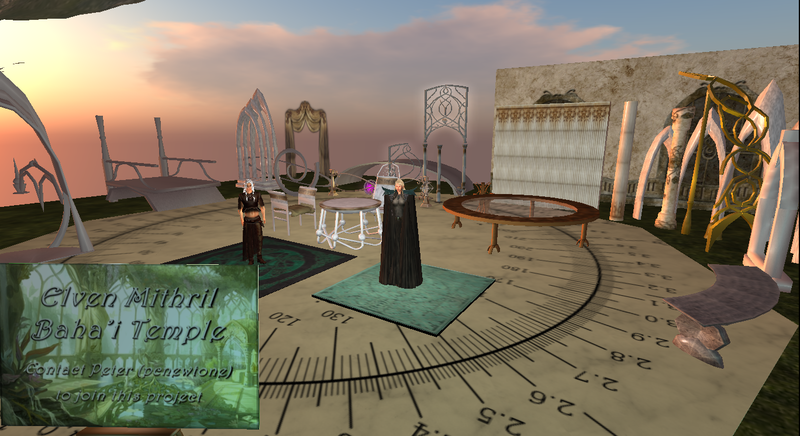 Recent developments in open-source and crowd-sourced architectural design inspired the friends to set up a virtual ‘sandbox’ for this purpose in Second Life. The projects underway include both artistic representations of existing Baha’i Temples and original designs, whether fanciful or feasible. The first such temple to be completed (pictured above) was a 3D interpretation of the Lotus Temple of New Delhi, India. It was designed by Baha’i 3D artist Naoko (Rena.Sakuri), installed and furnished by Peter (pcnewtone), and landscaped by Genamalfi. 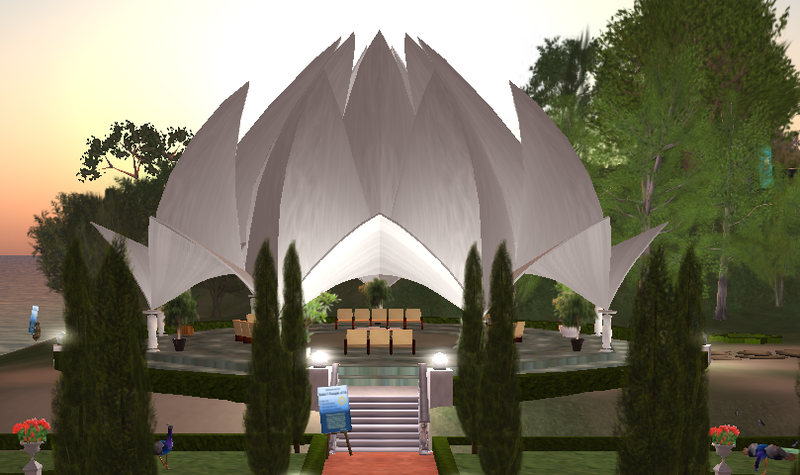 The Lotus Temple is now functioning at the Baha’i Complex of Second Life, where it houses weekly multi-faith prayer circles. The second design concept, which is still its its early stages, consists of a graceful elven design inspired in the Lord of the Rings and built with fine woods and mithril. As shown in the photo, several of the necessary building materials have already been set out on the building platform to be selected and used by those wishing to lend a hand in this imaginative construction project. Another design that is currently under way is a 3D artistic interpretation of the Baha’i Temple being built in Santiago, Chile (shown here). Naoko (Rena.Sakuri) is designing the mesh petals, which will then be imported into Second Life and supplemented with interior design and landscaping. Other proposed design concepts include steampunk, crystal, organic, Japanese, and many more. Please feel free to join us in exploring this exciting, creative medium!